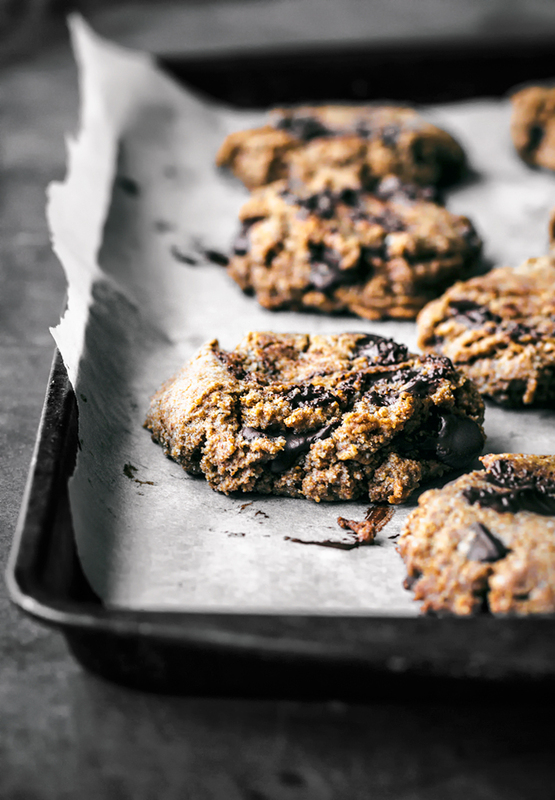 Vegan almond and rye chocolate chip cookies are rich and chewy with a nice depth of flavour thanks to a base of rye flour, almond flour, and almond butter. 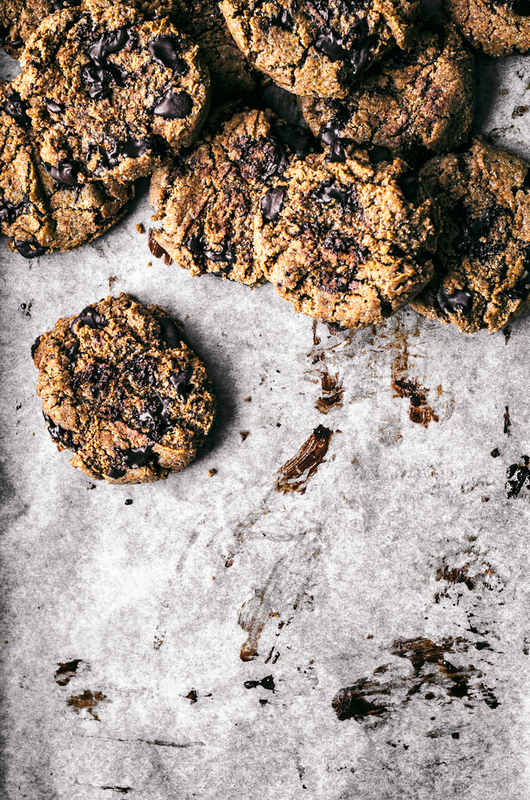 Coconut sugar and maple syrup sweeten these healthier cookies. Despite having finished (for now) university a few years ago, and not having any children, back to school time always takes up a corner of my mind at this time of year. 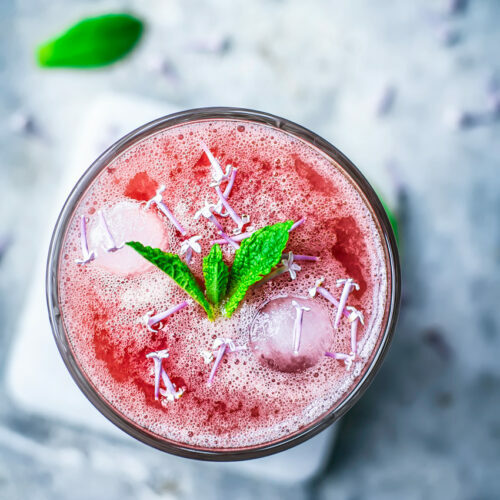 Even for those of us not involved, there is a seasonal transition taking place and our eating patterns shift during late summer and early fall. I can sense myself beginning to prepare for shorter days and cooler weather – and that includes baking cookies! 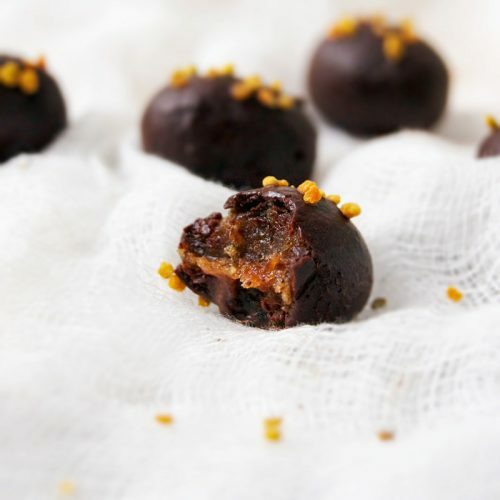 Adding almond flour and almond butter adds richness and makes the cookies chewier, both of which can be missing in cookies lacking the high amounts of butter, sugar, and eggs traditionally added. 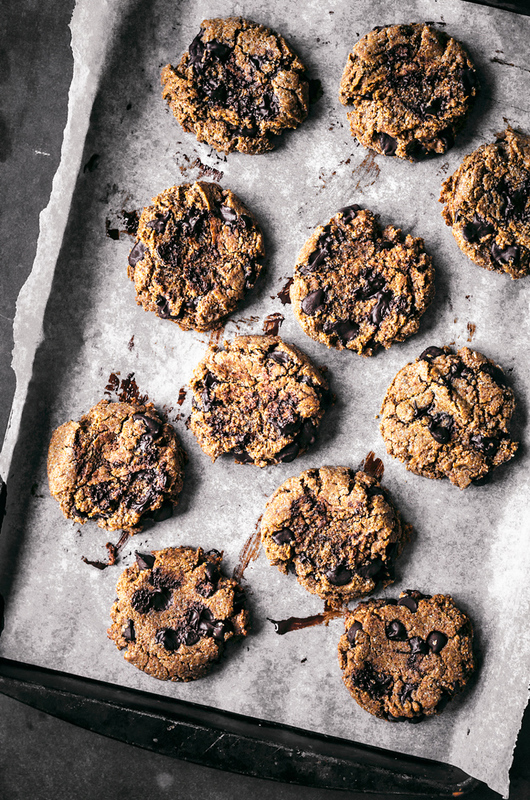 Rye flour gives them more depth, as does coconut sugar and maple syrup – these are very much a grown-up cookie, but I’m sure kids would love them too. Rye and chocolate are best friends and this recipe definitely showcases that. The cookies are chewy in the centre, with a crispy, golden edge. The best kind. 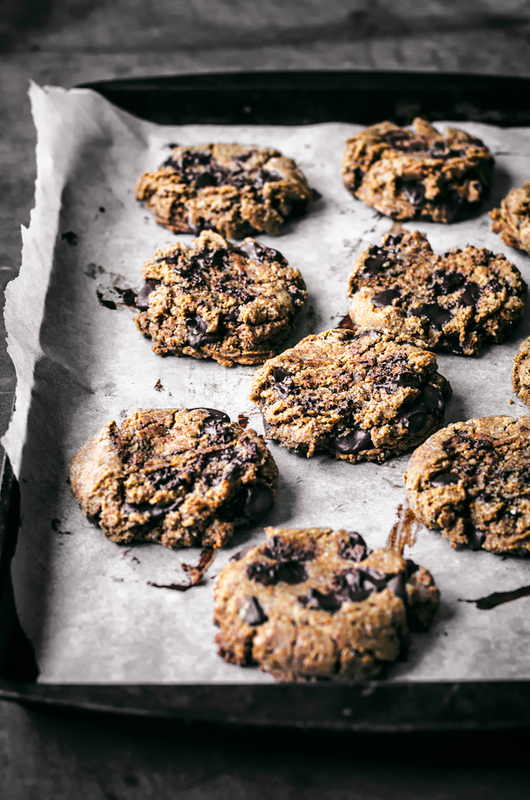 I adapted the recipe for these almond rye chocolate chip cookies from a handful of others on the blog. 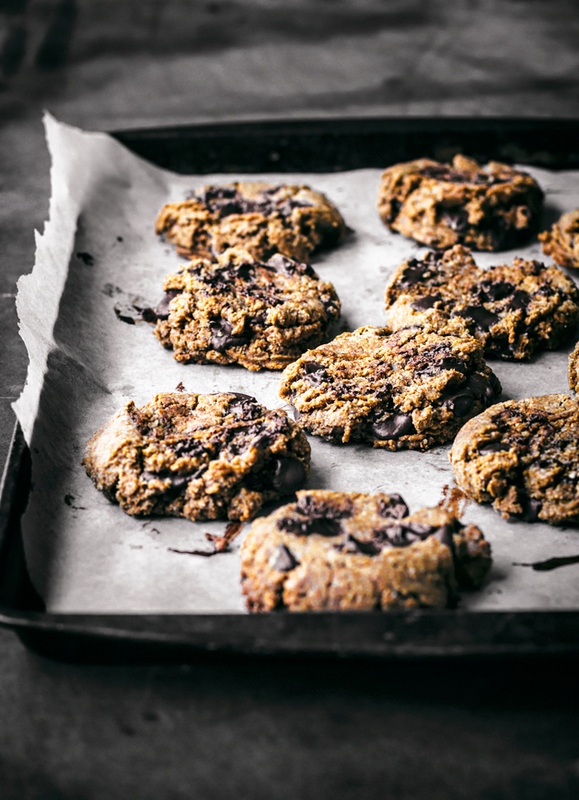 This classic vegan chocolate chip cookie, my vegan lebkuchen, and an old recipe for hazelnut oatmeal chocolate chip cookies. As usual, it’s my new favourite and currently the top of the list out of all of them. I just love rye flour and had never really used it in a cookie before. If you haven’t either, you should. It’ll blow your mind. 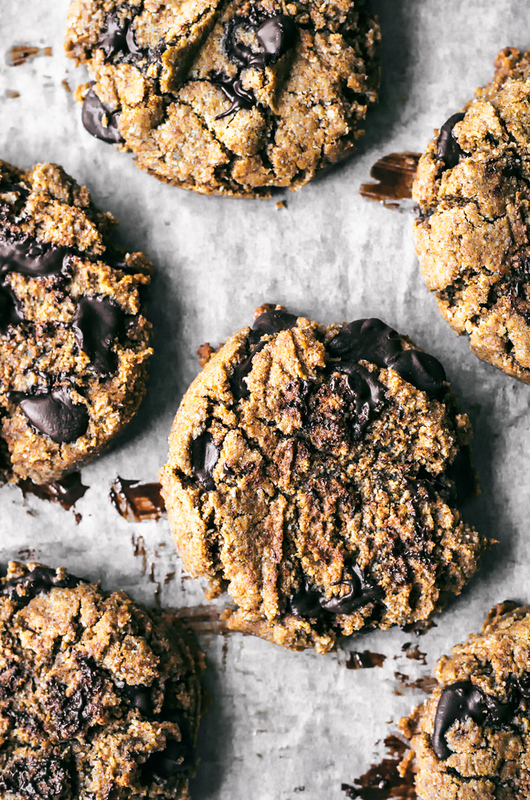 These healthier vegan almond and rye chocolate chip cookies are rich, chewy, and flavourful thanks to a base of rye flour, almond flour, and almond butter. Preheat the oven to 180C / 350F and line a large baking sheet with parchment paper. In a large bowl, whisk together the rye flour, almond flour, sugar, arrowroot, salt, and baking soda. Set aside. In a smaller bowl, mix the almond butter, coconut oil, maple syrup, and vanilla. Add the almond butter mixture to the larger bowl and mix with a wooden spoon until the dough comes together. Add in the chocolate chips, using your hands to incorporate them. Place three tablespoons of dough about 6cm apart for each cookie. Press each cookie down slightly. Bake for 10-12 minutes, or until the edges are golden. Let the cookies cool for about 10 minutes on the pan before removing and cooling fully on a rack. 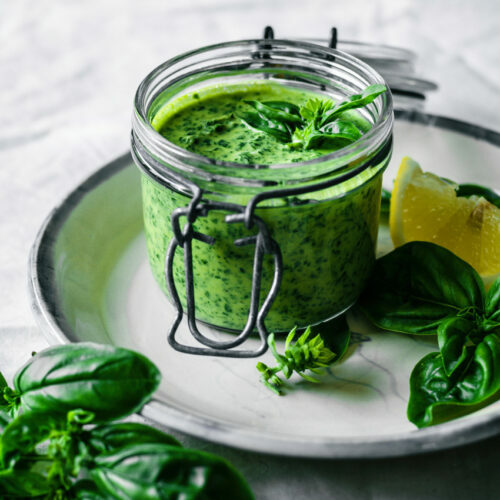 Store in a sealed container at room temperature for 3-4 days, or freeze. 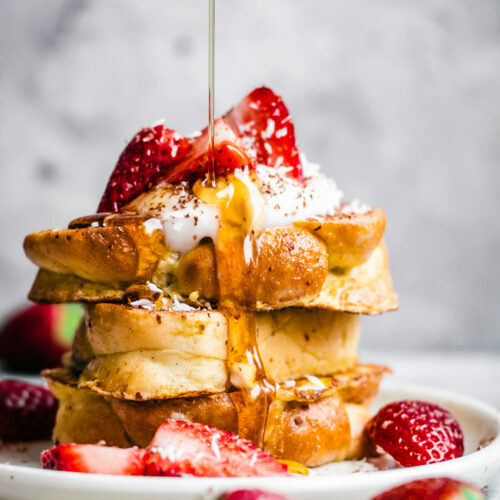 * You need to use a runny almond butter for this recipe. A harder one will result in a denser, drier cookie, and no one wants that. If the dough is too dry (due to a dry nut butter) add a tablespoon or two of nondairy milk to make up for it. Hi Alexandra, I made these cookies when you first posted the recipe but I remember that at that time I couldn’t write a comment (website problems?) and I forgot about it. The post about the chocolate recipes reminded me of these cookies because they are excellent and I am going to make them again, very soon! Or maybe I will make the hazelnut chocolate ganache tart first? Maybe you are already speaking a little bit dutch : ) I know it’s a difficult language to learn: my mother, being Spanish, came to live here with my (Dutch) father and found, and still finds it quite a difficult language to pronounce. Hi, I tried making these and after baking them, they didn’t rise or spread. They looked exactly how they did raw just with a toasty bottom and edges. I double checked the recipe and made it but weighing, any ideas what what I did wrong? Sorry to hear you had some problems Lysh, if you didn’t change the recipe at all then this sounds like an oven setting or baking problem. These have been successful in lots of different ovens so I’m not sure what else it might be!